An Aberchirder woman has been banned from keeping pets – apart from her dogs – after she was caught neglecting animals. Three of the cats found dead at Michelle Smith’s home were kittens and the 36-year-old also mistreated ducks and chickens. Inspectors discovered other emaciated animals when they searched her home with no sign of them being given food in up to six weeks. They found a rabbit hutch containing two dead kittens and eight underweight, hungry young cats. Another dead kitten was found inside a caravan along with several other live cats without food or clean water. They found two dead ducks, five “very thin” ducks and 11 chickens which had no access to food. A total of 63 animals were on the property, including 19 dogs and two dead ducks. 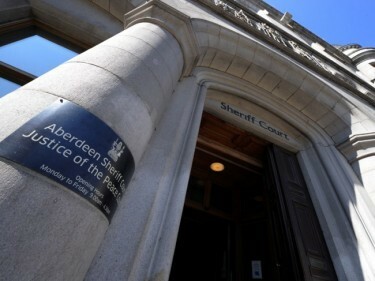 Smith, of Wester Culvie, Aberchirder, appeared at Aberdeen Sheriff Court on Tuesday and pled guilty to five charges of animal neglect between June and August last year. The charges related to failure to care for the animals which lead to their unnecessary suffering. Smith cooperated with the Scottish SPCA investigation. She signed the ownership of the animals over to the animal welfare charity which allows them to be rehomed after they are checked over by a vet.